We’ve been familiar with the word “cashless” nowadays and many people are starting using a digital currency which let them pay with their smartphones. Already been mainstream in Europe and China from the side of convenience and easiness, this payment system is also becoming popular in Japan as the tourists increase year by year. 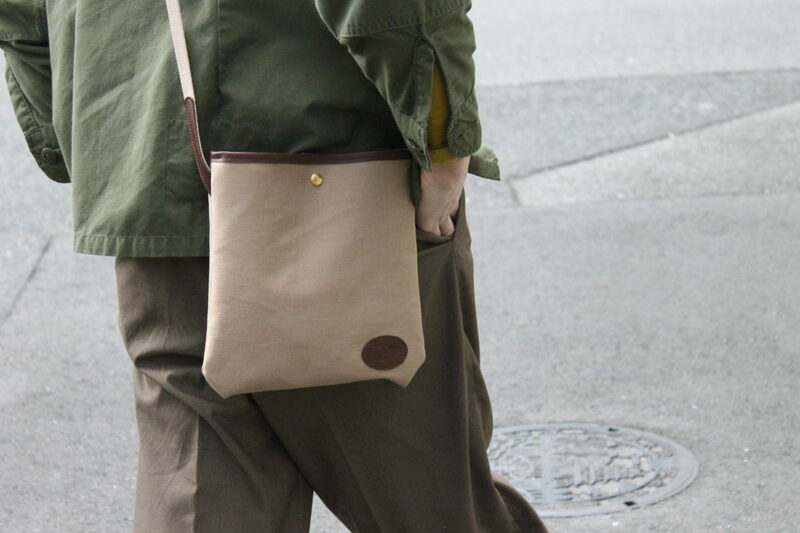 The way of thinking in cashless and the attitude of creation in Munekawa have a common point: being functional and not bulky. 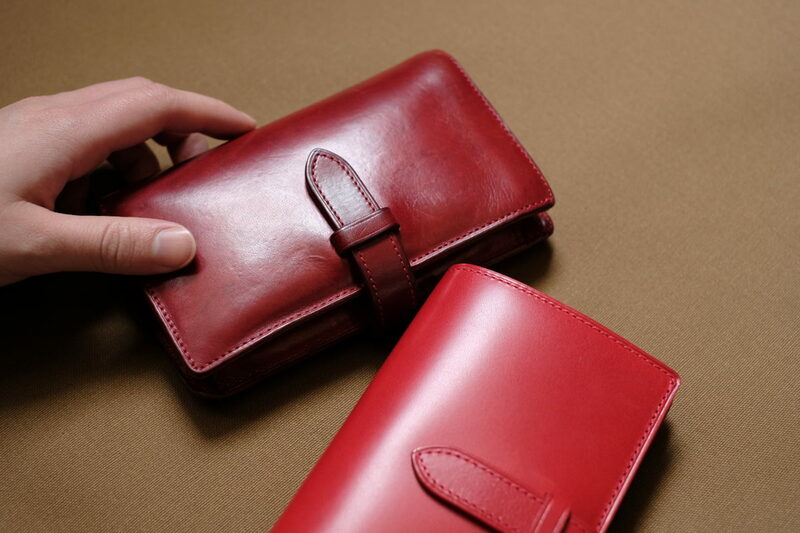 Coin purse C&C is a coin purse and a card case combined, one of a product you can feel the usefulness. 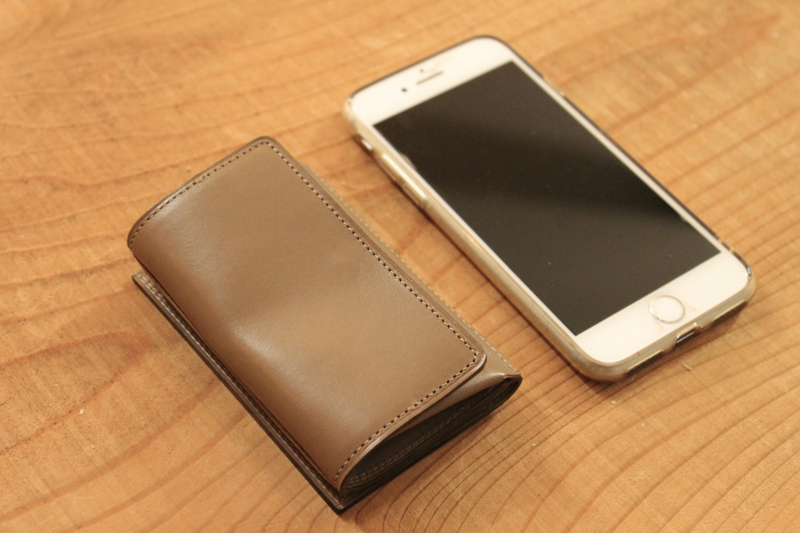 The biggest feature is that you can put your cards while using as a coin purse at the same time. 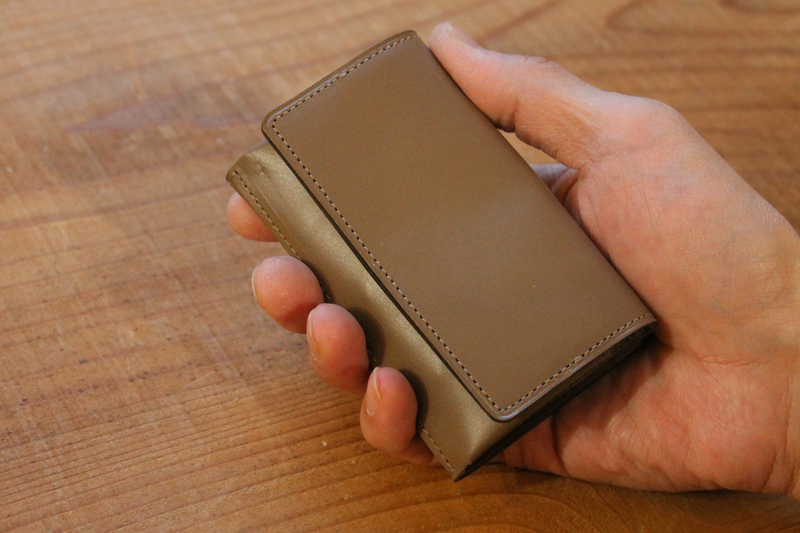 There’re two card slots and you can put three to five cards totally. For people who mainly pay with credit cards or use the commuter pass, most of the occasions in your daily life can be managed by this item. 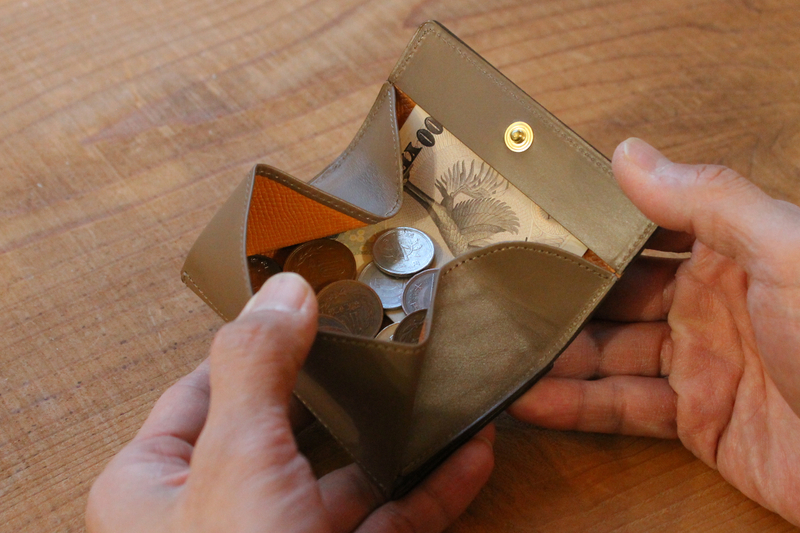 Another way of using we want to introduce is that you can put your bill inside the coin purse. 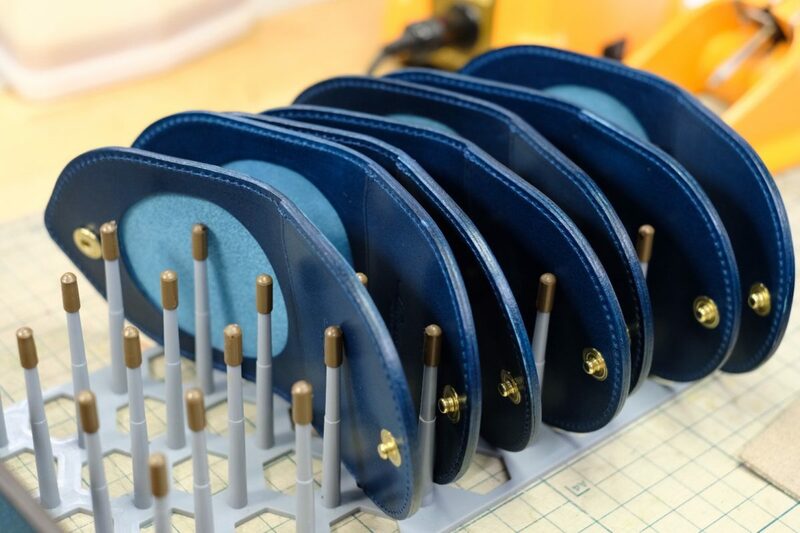 By putting it inside the back cover of the coin purse, the gusset works just like the money clip and holds the bill. Munekawa’s staff actually use this item in this way. 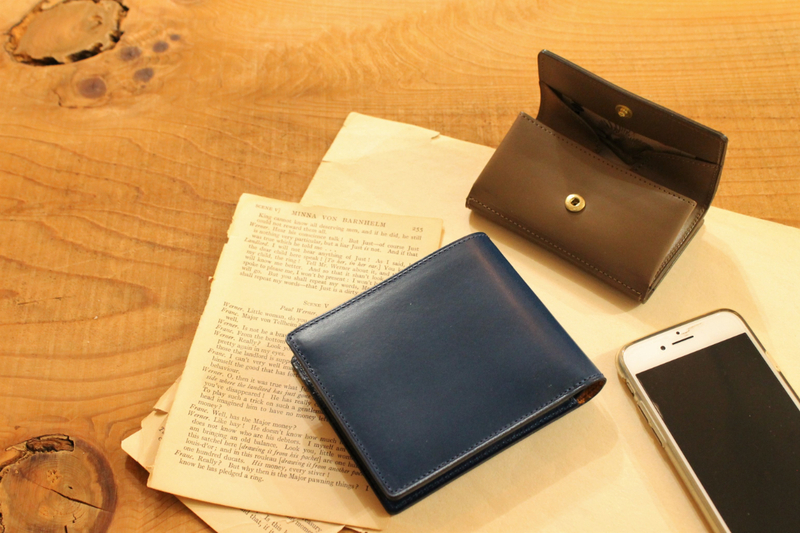 For people who mainly use their smartphones for paying, coin purse C&C can be used to carry some cash and cards for a sudden moment. Also for those who live minimally, it can reduce your belongings. 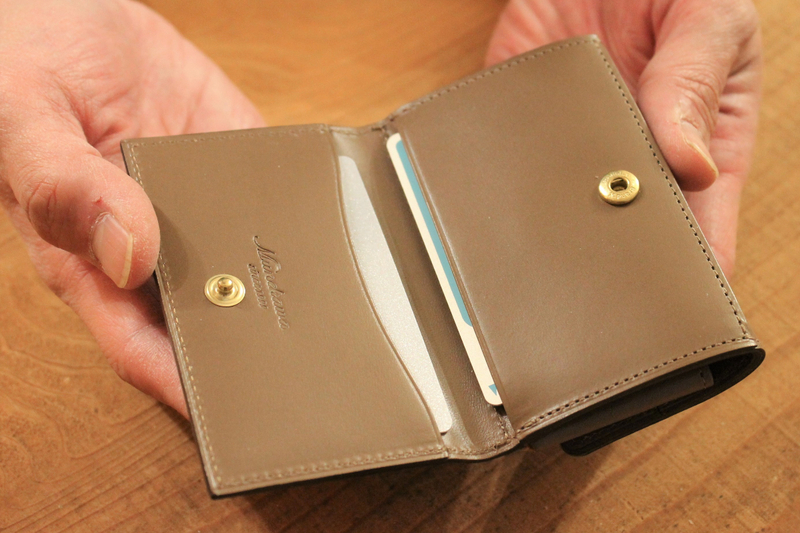 For people who mainly pay with cash, it can be used as a secondary wallet to replenish some cash to your main wallet. 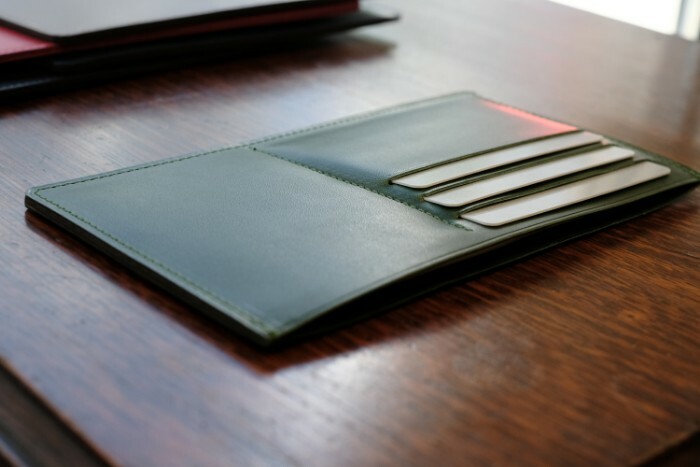 It would be useful in organizing your main wallet. 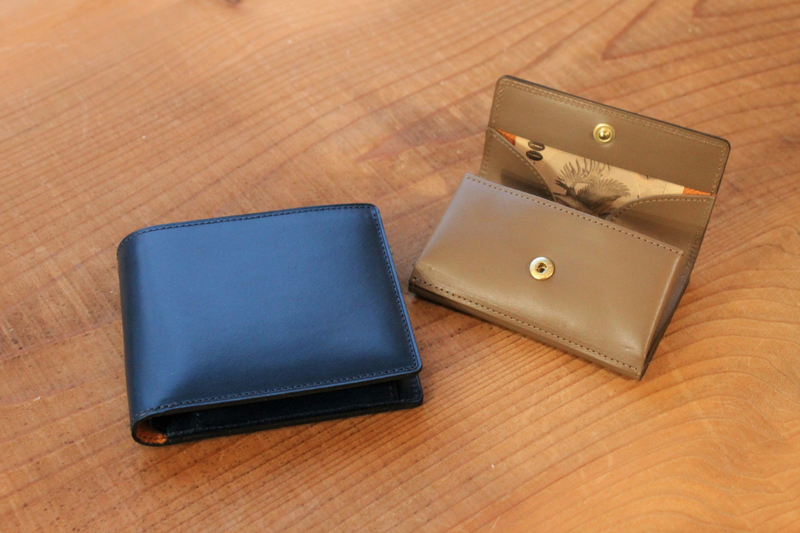 Wallets can easily get messed with cash and receipts and so on. 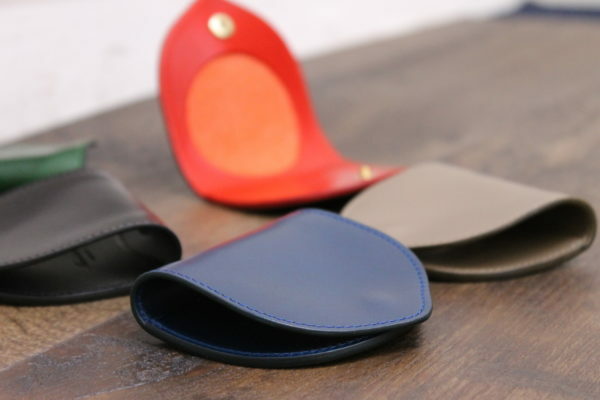 This would help you be organized and make your belongings less while feeling the good points of leather and the usability.